Signing up for Amber’s monthly membership which focuses on optimal brain + gut health is a no-brainer for you! JOIN US IN NO BRAINERS NOW! I SAT ON THE PLANE AND CRIED LIKE A BABY... not even going to lie. This is how the idea was birthed. Me sobbing on a plane like a major weeper with the poor man, Mr. Joe sitting next to me giving me the occasional sympathy glance. See. I attended a LIVE masterclass of sorts where 9 boss babes gathered around to discuss business and strategy. The event was called “BRAND BUILDERS” and was hosted by the lovely Jasmine Star, who poured business wisdom over us in the course of one day. As I listened to each woman's story, their goals and the tasks they set before them. It dawned on me... I was living small. and every. single. thing. I was doing was, let's just say, not right. At least not right for me... and the dream God placed within my heart. Between each business strategy session, we had a “coffee break” where everyone would mingle… everyone but me. I would race out the door of the building and pace outside in the sunlight with tears streaming down my face. Why was I crying? Well. Because at the time, I was coaching women either in a group setting or one-on-one which I loved; however, I felt like there was a disconnect. Our coaching sessions would last for 4-6 weeks pending on the client and then… off they would fly like birds out of a nest. With me hoping everything we discussed in that time together would hold. And if you ever worked with a coach or even a trainer in a gym, you know that LIFE HAPPENS! Sometimes, in those 4-6 weeks, you would get derailed… a family member would get sick, you planned a week’s vacation or something else would happen. I get it! But that was time gone in our coaching together. And as I sat there, crying… in my heart, I felt like I could serve women better, BIGGER and more meaningful. Thankfully, it was a four hour flight back home and I was able to collect myself enough to come up with a game plan. How to stop living small + start taking action... how to best serve others to the best of my ability by using the talents God placed within my heart. In an airplane somewhere over Arizona, mapping out all the details... and vowing not to live small but to serve others BIG + better! But allow me to share with you what EXACTLY is NO BRAINERS MEMBERSPACE… and how it may be just the thing YOU are looking for, love! This is for the woman who knows nutrition is important to her mental well-being and overall health; however, is tired of eating bland chicken breast and if someone offers her broccoli, she may just punch them in the throat. A woman who is living a beautifully chaotic life yet always feeling drained and unable to be fully focused with the ones she loves. She longs for simplicity and for someone to provide her a game plan of what to eat + when while giving her the tools to learn for herself. NO BRAINERS is for the woman who knows her overall wellness isn’t just about what she puts in her body (through nutrition) but also what she places ON her body (through beauty products) and the environment around her (music, the words she is feeding herself and the people she is surrounded by). This is for the woman who would like to take action yet needs bite-size consumable information to help make simple tweaks into her daily life without the overwhelm. So that she feels proud of herself when she lays her beautiful head down to sleep knowing she took action today towards a healthier and more vibrant life. a woman who knows her health is vital for a successful relationship with her family, her spouse and to better serve her community. a woman who understands wellness isn’t just about refusing a donut here and there BUT also about MINDSET, MOVEMENT, CLEAN BEAUTY PRODUCTS, AND NUTRITION. a woman who longs for a community that will celebrate her successes no matter how small BUT will also pick her up when she feels alone… discouraged… and just seeking answers. a woman who needs someone to wad through all the B.S. 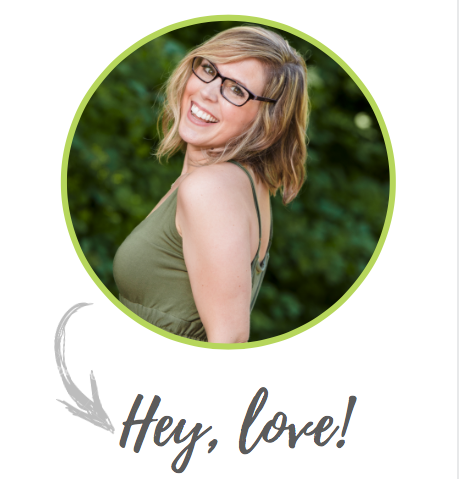 out there and to provide valuable bite-size consumable information each month so SHE can take action (without the overwhelm). IF THIS SOUNDS LIKE YOU, CLICK HERE! I find myself looking for Amber’s magic hacks and tips, like finding things for a bargain. She takes your busy, crazy life and makes it doable with her easy to follow made for the family recipes and surprises you with healthy hacks you have never heard of. Such a treat to be a part of her community. I look forward to checking into the group daily so I don’t miss anything! The NO BRAINERS MEMBERSPACE fills my heart with such joy and I am thrilled to be sharing it with you, love. But let's dive a wee bit deeper! There is something about joining a tribe of women who are on the same journey as you… (which is to live the healthiest life possible)! By purchasing NO BRAINERS, you will be placed in a private + supportive environment where we can dive deep into your own wellness goals! it’s like Vegas in that aspect! In the private setting, you will have access to Me (hold the applause... just kidding) as well as other women who are striving to live their best life as well! There are daily posts, bonus recipes, LIVE classes and even LIVE Q&A calls! This is my jam! I LOVE exploring new recipes which are filled with REAL ingredients to help nourish your body. With each issue of NO BRAINERS, you will receive at least 5 family-style recipes approved by my "meat and potato" hubster + 5yr old twins. Seriously. If 5 year olds will eat these meals, you know they must be good! Am I right? Note: majority of these recipes are gluten free, legume free and for the most part, dairy free. Within the NO BRAINERS, you will receive tools and information to make this a lifestyle. Just bite-size consumable information! Because who needs more OVERWHELM? Not me! You heard of the saying, "give a man a fish, he has dinner. teach a man to fish, he eats for life." Well, it goes something like that anyways... and that's the point of this! Each month, we will dive deep into one topic where you will receive information from a guest who has experience in our monthly topic! This will be delivered in the magazine plus a LIVE CALL within our private community, so you can ask all your questions and have the “guest contributor” answer! PLUS, you will receive an action plan to help you start implementing when you are ready! 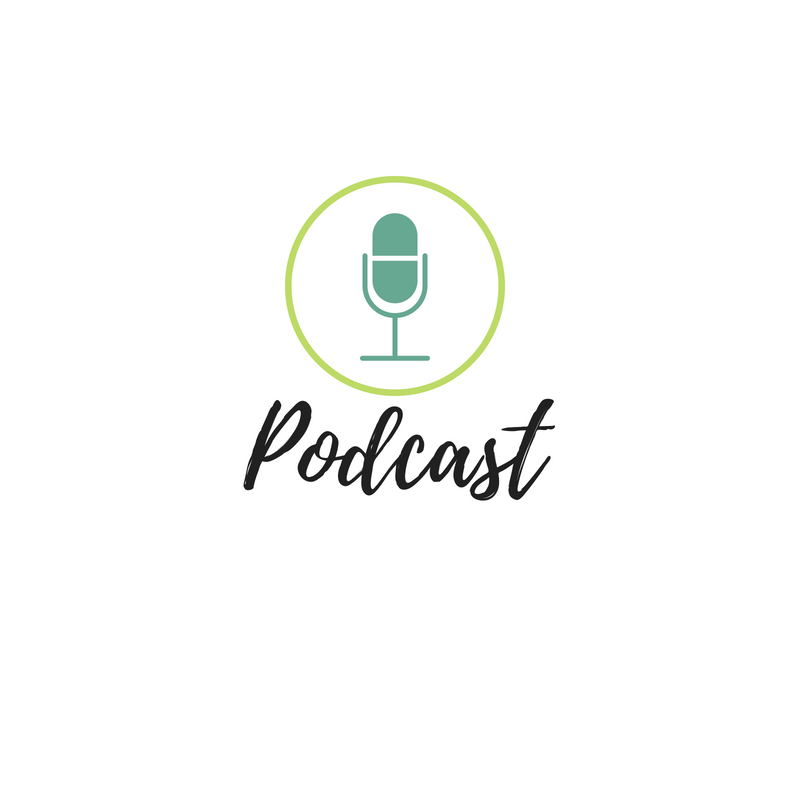 A few of the topics we have covered thus far include: Intermittent Fasting, Keeping Our Resolutions, How to Optimize Your Morning, etc. Through our families journey of optimal brain + gut health, I have discovered it’s not just about what you put IN your body that matters but also what you place ON TOP of your body! Your skin is your largest organ, love… fascinating, right? And your skin is amazing at absorbing the contents you apply on it. That’s why within our NO BRAINERS MEMBERSPACE, we uncover ingredients which are toxic + should avoid in our day-to-day products… as well as self-care tips and how to make clean beauty products within our own kitchen! Plus, because sometimes, life gets messy + we just need simplicity… we also share clean beauty products which are not harmful to our bodies or the environment! I know that's a LOT of information to read + take in... plus, if you are like me, you may appreciate "bullet-style" learning more. LIVE COOKING SHOW with Me: you get to join me in my kitchen while I whip up one of our monthly NO BRAINERS recipes! Plus... a few extra goodies from moi! I got to keep some surprises. WELL, THIS IS A "NO BRAINER"
One of the exercises I ask my ladies to do before we start working together is this... and let's do it together now, okay? Good. Take a beat to focus on the person YOU want to be in 30 days... is she sleeping better? is she taking a wee bit of time each week to focus on her? are her kids eating a wee bit healthier? does she notice in the afternoons she isn't reaching for coffee/soda, but actually having energy? does her pants fit her in all the right places? is her skin clearing up? does her belly feel happy and less bloated/crampy? Really focus on WHO you are striving towards... HOW she is feeling... WHAT is she doing... WHAT does her typical day look like now? Write it down. Yep. I'm serious... write it down. Thank her for making the sacrifices. Thank her for believing in you to get there. Thank her for all the healthy steps she took forward each day. Thank her for making that investment in you. Thank her for the time she took for herself. Thank her for it all... simply thank her. Keep this letter on your nightstand + read it... each morning before you start your day + each evening before you lay your head down for sleep. Read where you are headed + how much you appreciate yourself. Even if YOU are thinking our NO BRAINERS MEMBERSPACE isn't for you... maybe it's the wrong time... maybe it's not a good fit. No worries, love. Seriously. No worries, you have to do what is right for you. My only hope for you is for you to live your most optimal self... for you to have energy to play, to live and to be present in your life. To share with you all the information I have learned so that YOU can implement and do what is right for you. Plus, provide a positive rich environment for support and camaraderie. WHAT ARE A FEW OTHER MEMBERS SAYING? NO BRAINERS has been the most amazing help! I’m always curious what the foodie of the month will be and how I can incorporate it our home. Each month I look forward to the new recipes that I know will nourish my body & mind. I let my kids pick one they want to try and we prepare it together. The guest contributors have brought value to each issue that have opened my eyes to to consider the bigger picture of my whole health - body, mind, and spirit - so that I can be my best for those I love and serve. I’m thankful No Brainers gives me actionable steps to improve my health each month. I feel more confident in how I fill my plate and feed my family, as I understand the connection between my brain and gut a bit better. I am sleeping better and have noticed improved mental clarity since implementing the things I’m learning in the NO BRAINERS MEMBERSPACE! With my doctor’s permission, I’ve even been able to come off of one of my prescriptions, (which is a huge deal for someone with lupus & fibromyalgia) and I believe No Brainers has played a vital part in this milestone! NO BRAINERS helps me with easy tips I can incorporate into my life immediately! I love the simple wholesome recipes with surprising ingredients I wouldn't think to use in that way. I also love how Amber brings in guest contributors to pour into us their wisdom! No worries, love! I got you covered... just shoot me a message HERE + I'll be sure to answer ASAP! ps. ASAP in hot mess mama terms means 24-48 hours! Thank you for understanding... + can't wait to see you in the "NO BRAINERS” community!! !